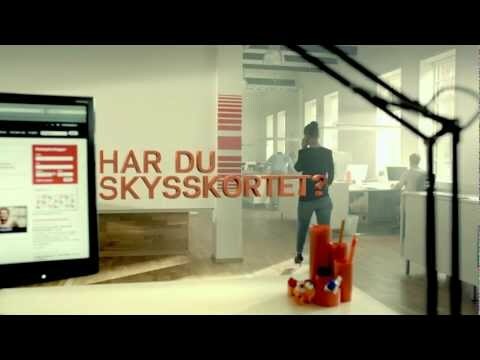 Skyss Travelcard is the travel card for people travelling in Hordaland County. It is valid on all our bus and boat services and on the Bergen Light Rail. You can choose whether or not to register your Skyss Travelcard. A registered Skyss Travelcard is registered to you personally, and you can only have one registered Skyss Travelcard. Skyss will store information for a limited period about the journeys you make using your Skyss Travelcard. We use this information in connection with complaints or claims for refunds in connection with lost cards. An unregistered Skyss Travelcard is not registered to you personally, and you can have several unregistered Skyss Travelcards. It is not possible to claim a refund if you loose an unregistered Skyss Travelcard. We send your Skyss Travelcard by post, or you can get it at our customer service center. You buy tickets or top up you Skyss Travelcard afterwards at a ticket machine, from the driver or at our customer service center. Tickets on your Skyss Travelcard (registered or unregistered) are non-personal. The tickets can be used by different people, but only by one person at a time. The person using the ticket must always meet the age and discount requirements. Please note: A Skyss Travelcard is not the same as a Skyss Ticket app. The tickets and cash balance in the Skyss Ticket app are independent of the tickets and cash balance in your Skyss Travelcard account.